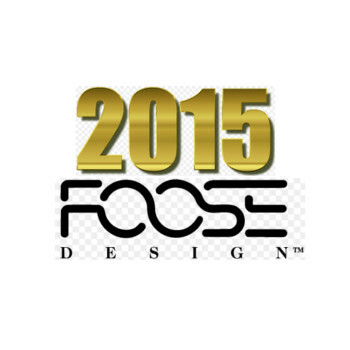 New 2015 Foose Rims: Knuckle F097/F099, Switch F157/F158, Wedge F159/F160, Bel-Air 6 F214, Twizz F216. 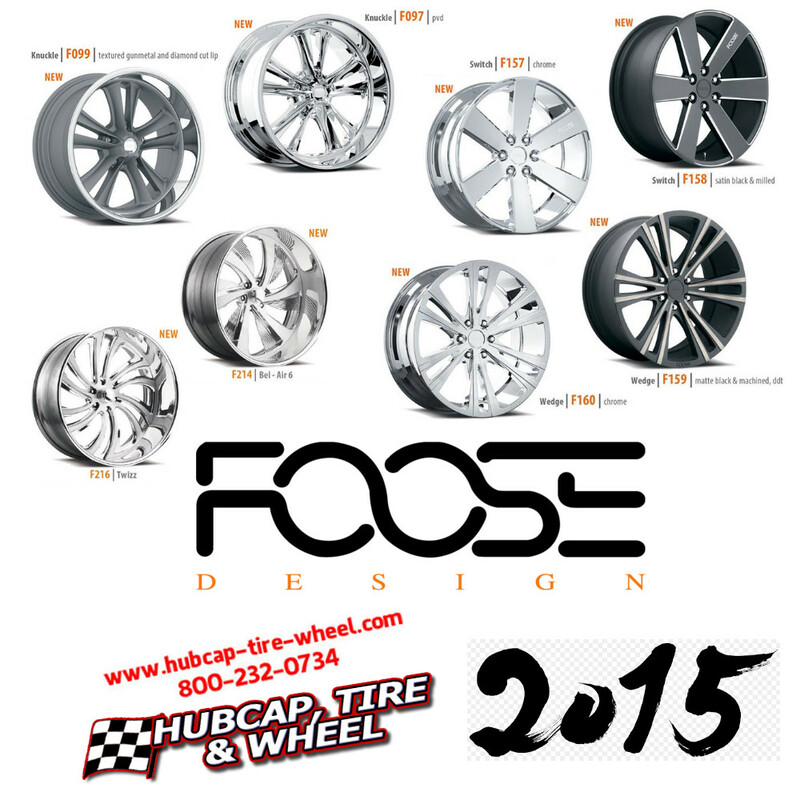 The new 2015 Foose Design wheels feature all the best aspects of the brand: styles that are bold and unmistakable, finishes that stand out from the crowd, and lines that are clean-cut but nowhere near bland or old-fashioned. The finishes this year range from classic chrome, to striking black with machined/milled details, to dark tints that add mystery to machined spokes. These are the perfect rims to add a flash of edgy street style to any vehicle– whether it’s your reliable family car or an exclusive super-car. From Toyota to Tesla, the 2015 Foose rims can take the coolness factor of any vehicle up to the next level. The new wheels cover a range of styles, from understated to brash, but all of them are keeping it classy. For a more traditional muscle car style, try Knuckle (F097/F099) in PVD chrome or textured gunmetal with a diamond cut lip. If you’re looking for a simpler feel to your rims, take a look at Switch (F157/F158) in chrome or satin black with milled details. To walk a little bit on the wild side, try Wedge (F159/F160) in chrome or matte black with dark-tinted machined spokes. To step your truck up a notch in style, try the new Tuckin’ wheels: Bel-Air 6 (F214, brushed and polished) gives you flashy, swooping lines; Twizz (F216, brushed and polished) brings curving spokes that are definitely eye-catching. To see all the new Foose rims: Foose Wheels. When you decide on the Foose rims that are perfect for your vehicle, call us at 1-800-232-0734. Our experts have decades of experience and they know exactly how to help you find the right fitment for your ride– and they can find you the right tires to go with your new rims to ensure that your ride is as smooth and optimized as possible. In fact, we guarantee that the fitment of your wheels will be right, or your money back.